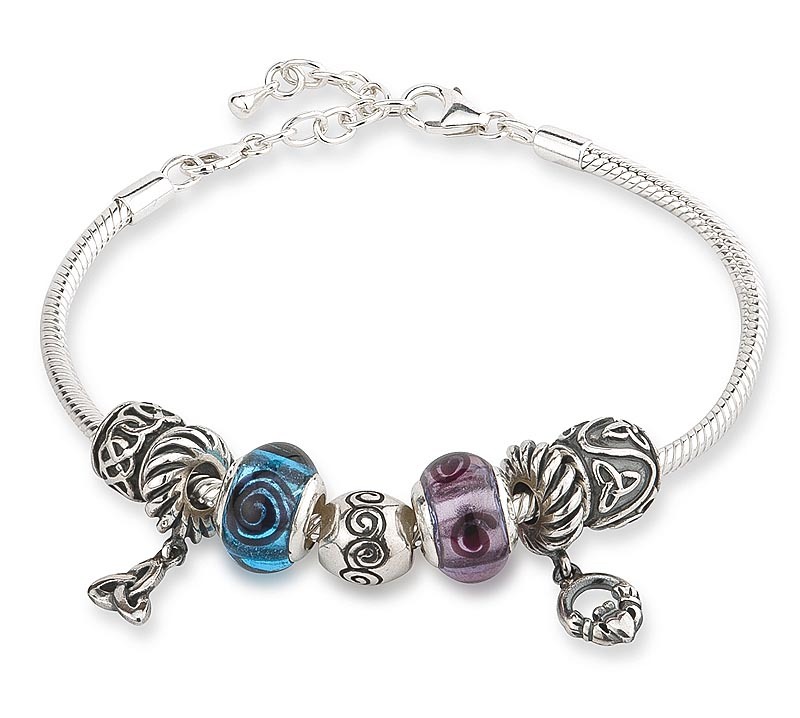 This sterling silver bracelet comes with 7 different sterling silver bracelet beads each with a unique Irish and Celtic theme. The Trinty Knot's modern interpretation is the Love knot. The interlaced unbroken line symbolises man's spiritual growth, eternal life and never ending love. Each twist and turn has its individual magical and mystical qualities. Each bead measures approx approx 0.5 x 0.5 inches. 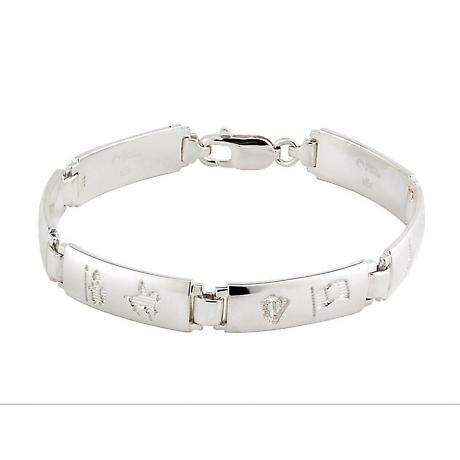 The bracelet 7.5 inches long with a 2 inch extender. 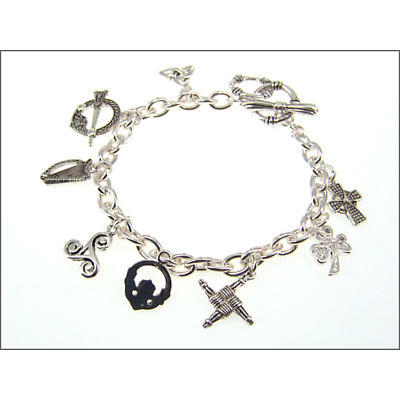 Suitable for a wrist up to 8.3/4 inches. Hallmarked in the assay office in Dublin.